Mike Hill (Tombs) Announces New Vasilek album + Song Premiere! 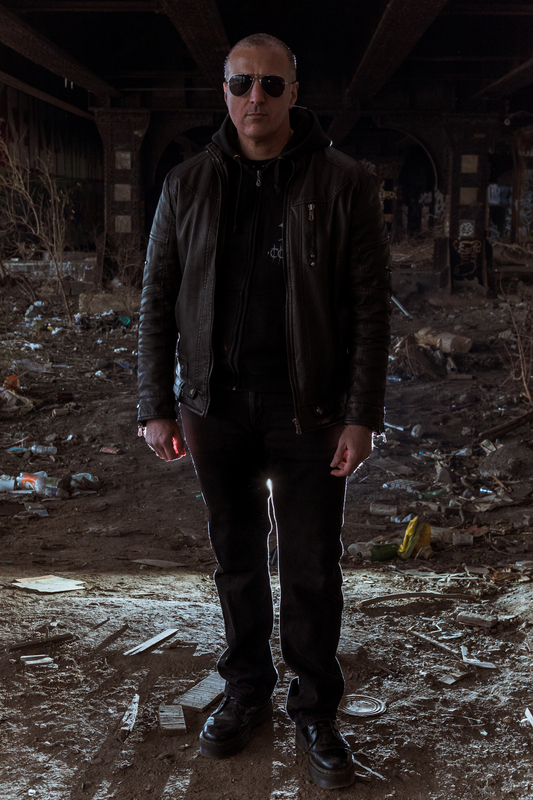 VASILEK is the alter ego of Michael Hill (TOMBS), born from embers and illuminated through dark, ambient electronic and surging tones, The Dark Road delivers sounds and shapes that cascade through the subconscious. “The material was developed over several years and has had a few different incarnations, different forms” explains Hill. “The overall theme is capturing the elusive emotion that exists between sadness and happiness and painting a picture with sound instead of color to describe that emotion”. Known as the mastermind/frontman of black metal giants, TOMBS (Metal Blade Records), Hill opens the gates to a “deeper sound and rhythm that connects to a more primitive mind that is buried deep in our consciousness” explains Hill. The three song album was recorded in Michael’s home in Brooklyn, NY over several years and then mastered by guru, James Plotkin . The Dark Road features brand new artwork by Mike Wohlberg and is available on compact disc August 25, 2017. Pre-order for The Dark Road is available now with Translation Loss Records. Decibel Magazine are graciously hosting the first track off The Dark Road entitled, “Walk With Me”.